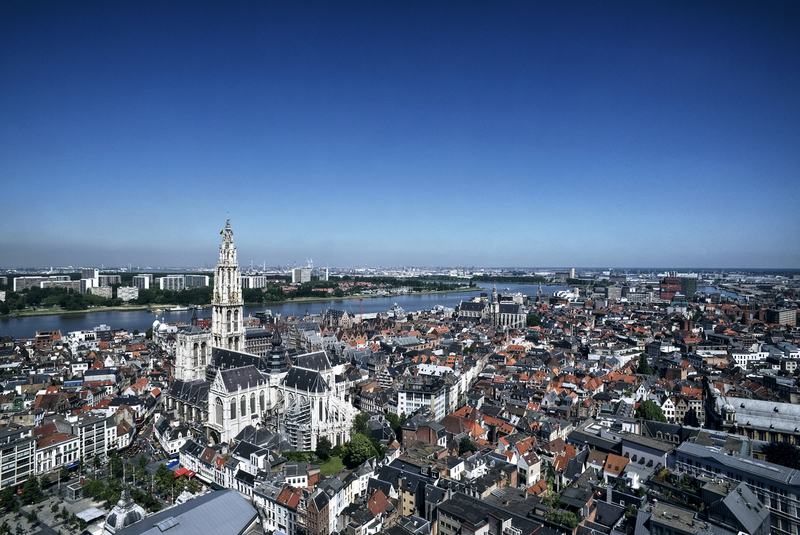 After 169 years of construction the cathedral of Antwerp finally dominated Antwerp's skyline in 1521 with a height of 123 metres. It's the highest Gothic building in the Low Countries. It took 169 years (1352-1521) of labour to raise the 123m heavenward-reaching steeple of the Cathedral, the highest Gothic building in the Low Countries. The Cathedral is an iconic treasury, with an impressive collection of major art works, including a series of paintings by Rubens. Now, after twenty years, the seven-naved church has been restored to its former architectural glory. Fascinating features include Rubens’ ‘Elevation of the Cross’ and his ‘Descent from the Cross’. Any visit to Antwerp starts with a visit of the Cathedral of Our Lady.